Hello there, today I am back with a cute and fun project. 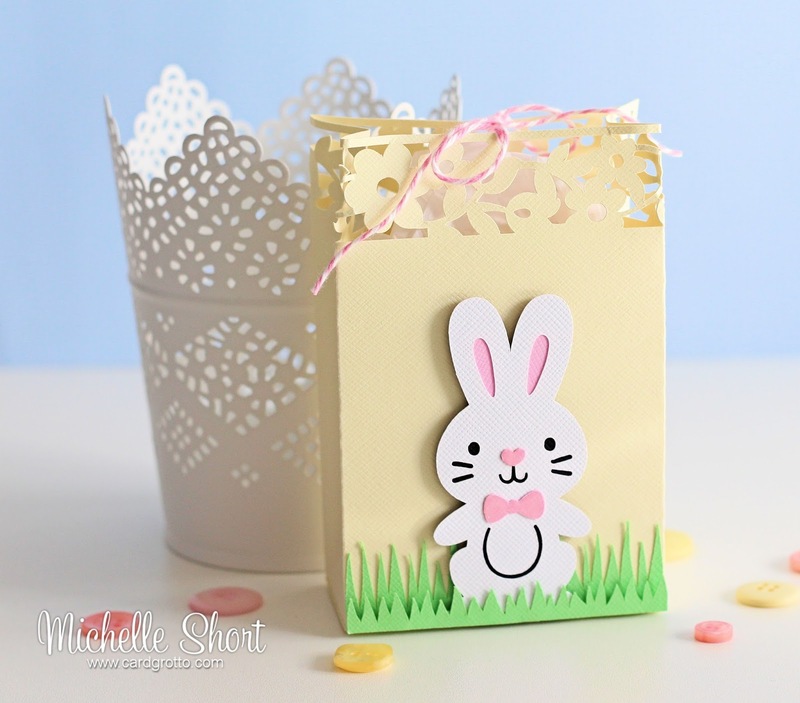 Today I have used the Cricut Explore to make a little Easter treat bag. I started off by cutting the bag using the Flower Treat Bag (Bridal &Baby Soirees cartridge) using a pale yellow/cream cardstock and put this together. The two grasses - grass (Palntin School Book cartridge) and Spring Border (Classroom - February & March cartridge) were then cut and added to the bag. 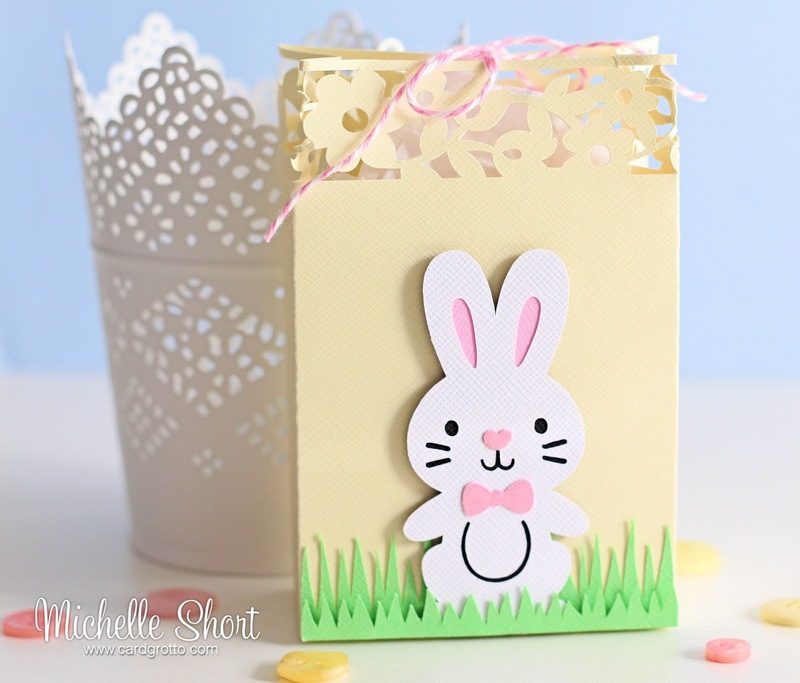 The Chocolate Bunny (Create A Critter 2 cartridge) was cut using white, black and pink cardstock and layered together. I added clear Wink of Stella and Glossy Accents to the nose and bow tie. He was added to the bag popped behind the grass at the front, with foam tape. I then wrapped a little twine through the bag to keep it closed. So cute! I haven't played on the Cricut for a little while so it was fun to play again! Thanks so much for visiting me today. I will back tomorrow for the start of the Clearly Besotted Teasers. These are so cute! Just the right size for mini eggs.... Hmmm...... Inspiration....... Mini eggs.... Happy Easter. Looking forward to the new CB teasers.